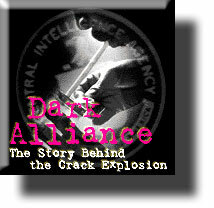 LOS ANGELES (FinalCall.com) - New evidence has surfaced linking the U.S. Central Intelligence Agency to the introduction of crack cocaine into Black neighborhoods with drug profits used to fund the CIA-backed Nicaraguan Contra army in the early 1980s. This evidence has given credence to long-held suspicions of the U.S. government's role in undermining Black communities. Thousands of young Black men are serving long prison sentences for selling cocaine -- a drug that was virtually unobtainable in Black neighborhoods before members of the CIA's army started bring it into South Central in the 1980s at bargain basement prices," wrote Mercury News reporter Gary Webb, in the first installment of the shocking series of reports. Millions of dollars in drug profits were then funneled to the Fuerza Democratica Nicaraguense (Nicaraguan Democratic Force), the largest of several anti-Communists commonly called the Contras. The 5,000-man FDN was created in mid-1981 and run by both American and Nicaraguan CIA agents in its losing war against Nicaragua's Sandinista government, the Cuban-supported socialists who had overthrown U.S.-backed dictator Anastasio Somoza in 1979. This CIA-backed drug network opened the first pipeline between Columbia's cocaine cartels and the Black neighborhoods of Compton and Los Angeles, according to the Mercury News. In time, the cocaine that flooded Los Angeles helped spark a "crack explosion" in urban America and provided the cash and connections needed for Los Angeles's gangs to buy Uzi sub-machine guns, AK-47 rifles, and other assault weapons that would fuel deadly gang turf wars, drive-by shootings, murders and robberies -- courtesy of the U.S. government, according to the article. "While the FDN's war is barely a memory today, Black America is still dealing with its poisonous side effects. Urban neighborhoods are grappling with legions of homeless crack addicts. Thousands of young Black men are serving long prison sentences for selling cocaine -- a drug that was virtually unobtainable in Black neighborhoods before members of the CIA's army started bring it into South Central in the 1980s at bargain basement prices," wrote Mercury News reporter Gary Webb, in the first installment of the shocking series of reports. Although the Mercury News details the activities of numerous Nicaraguan and American informants and ties involved in the drug-gun trade, three men are cited as key players: Norwin Meneses, a Nicaraguan smuggler and FDN boss; Danilo Blandon, a cocaine supplier, top FDN civilian leader in California, and DEA informant; and Ricky Donnell Ross, a South Central Los Angeles high school dropout and drug trafficker of mythic proportions, who was Mr. Blandon's biggest customer. According to the Mercury News article, for the better part of a decade, "Freeway Rick," as he was nicknamed, was unaware of his supplier's military and political connections. Ricky Ross' street connections, ability to obtain cocaine at low prices and deals that allowed him to receive drugs from Contra-CIA operatives with no money upfront helped him to undercut other dealers and quickly spread crack. 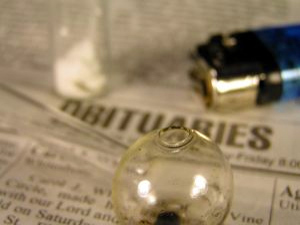 He also sold crack wholesale to gangs across the country, said the Mercury News report. Most of the information surrounding the CIA's involvement in the crack trade came from testimony in the March drug trafficking trial of Mr. Ross, 36, who, along with two other men were convicted of cocaine conspiracy charges in San Diego. A federal judge indefinitely postponed Mr. Ross's Aug. 23 sentencing to grant his lawyer time to try to show that federal authorities misused DEA agent Mr. Blandon to entrap Mr. Ross in a "reverse" sting last year. Mr. Ross could receive life in prison without the possibility of parole. Records show that Mr. Ross was still behind bars in Cincinnati in 1994, awaiting parole, when San Diego DEA agents targeted him for the reverse sting-- one in which government agents provide the drugs and the target provides the cash. Mr. Blandon's boss in the FDN's cocaine operation, Norwin Meneses, has never spent a day in a U.S. prison, even though the federal government has been aware of his cocaine dealings since at least 1974, according to the Mercury News article. Some believe crack did not become an "American problem" until the drug began hitting white neighborhoods and affecting white children. On Aug. 23, the Los Angeles City Council, responding to pressure by the Los Angeles Chapter of the Black American Political Association of California (BAPAC), asked U.S. Atty. Janet Reno to investigate the government's involvement in the alleged sale of illegal street drugs in Los Angeles' Black community to support the CIA-backed Contras. BAPAC vice chairman Glen Brown told The Final Call that a federal agency monitored by a civilian advisory board is one way the government could investigate the matter because "we can't have people who are responsible for this investigate themselves." "He came back to Los Angeles and tried to get his life together," Mr. Alphonse said. "Rick was a legend in the streets. But he flipped (testified against law enforcement officers). He said they used him to skim money from him." Mr. Alphonse was referring to Mr. Ross's 1991 testimony against Los Angeles Police Department narcotics detectives who had been fired or indicted along with dozens of deputies from the Los Angeles County sheriff's elite narcotics squads for allegedly beating suspects, stealing drug money and planting evidence. "Inner city youth don't have the resources to manufacture cocaine or ship in guns," Mr. Alphonse said. "Gang members charged then that gang rivalry and drug wars were being perpetuated by the police and the government," said Mr. Samad, who is now president of Samad & Associates, a consulting firm. "Obviously African American males didn't have planes and boats to move the guns and narcotics into the Black community." Mr. Stuckey said. Mr. Stuckey said that Black and Latino youths must be appraised of the government's involvement in order to understand that their communities will continue to be the dumping grounds for guns and drugs unless the youths "do for self." "I do think that the blame that was laid on the gangs was wrong," Mr. Stuckey said. "But I can't say that it vindicates them for their actions because they had a choice in the matter. (Still) it's horrible that the government targeted our youth." Mr. Freeman said he knows firsthand of the deceit of which the government is capable; a government, he said, that tries to "set itself up as if it's higher than God when really it's lower than the devil." "(They put) small pox in the Indian's blankets and gave them fire water," Mr. Freeman said. "They make drugs available to Blacks and other minorities. It only surprises me that (the CIA) got caught."